Looking for an exciting, comprehensive math curriculum for your first grader? The best-selling Horizons 1st Grade Math Set from Alpha Omega Publications has everything you need. Laying a solid math foundation, Horizons allows your child to master basic math skills like counting, adding, and subtracting numbers in no time at all. 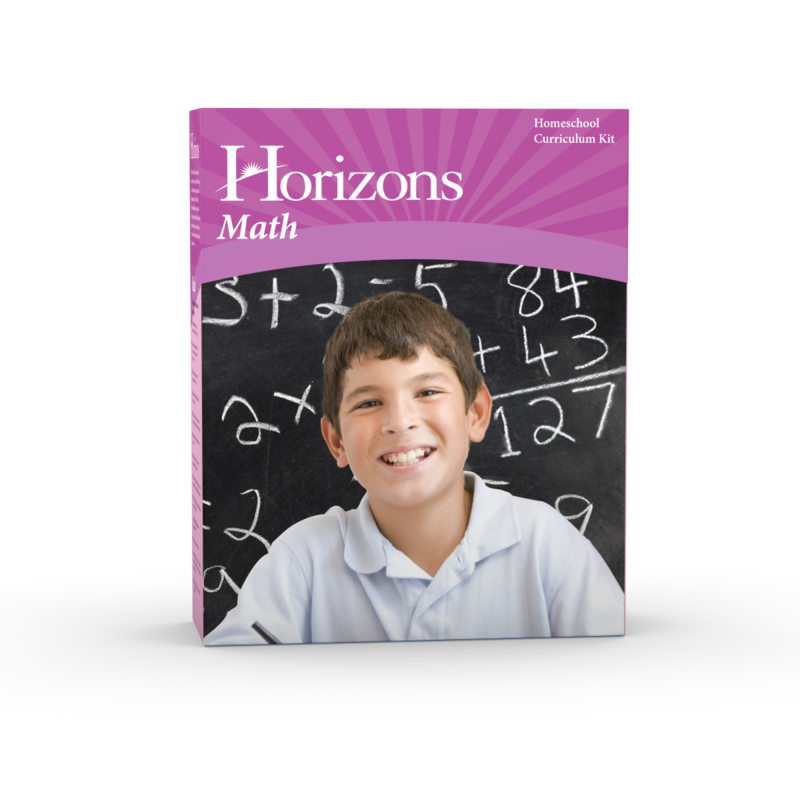 Through the process of introduction, review, and reinforcement, the Horizons 1st Grade Math Set also teaches your child more challenging concepts such as time, fractions, sets, graphs, sequencing, and estimation. Lessons 1-160 in this Alpha Omega curriculum are filled with colorful, bright illustrations that capture your child's attention and perforated pages are easily removed to allow for easier completion of math problems. But that's not all. The teacher's guides in this Christian school curriculum make teaching math simple with a helpful daily lesson planner, practical teaching tips, student readiness evaluation test, answer keys, and additional worksheets (worksheets may also be purchased separately). Best of all, lesson objectives, needed materials, and suggested activities are clearly outlined so that Horizons practically teaches itself. Don't settle for less than the best. Teach your child math the easy, fun way with the Horizons 1st Grade Math Set. Order yours and get started today!